I've been snickering at the phrase 'Golden Globes' since Drew Barrymore wore this dress way back in 2006. Last year I featured Mariah Carey and Christina Hendricks. But this year the amount of pulchritude on parade defied definition. So to see how many of you keep your eyes on the prize, I have developed the Golden Globes Quiz. Just match the celebrity with her hooters and you can declare yourself the master of the red carpet. Maybe next year I will do quiz where you have to guess the celeb by the size of their shoes. Naaah. And just to double down on the silliness of this post, this year we also have the Baby Bump Division. Match these preggers celebs with their belly. Just leave your guesses in comments or give your own fashion advice. Back in October, I saw The Social Network, the movie about Time Magazine Person of the Year Mark Zuckerberg. 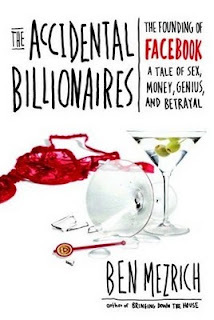 The movie is based fairly faithfully on The Accidental Billionaires by Ben Mezerich, the author of Bringing Down the House, a book I had previously enjoyed. Since the screenplay was by Aaron Sorkin, I also wanted to see what he brought to the screen which wasn't in the book. Based on just the plot, the two stories cover most of the same timeline and events although sometimes in different order. In particular, the book is far more narratively linear than the movie. Also, the invented dialog is more explicitly noted in the book and lacks those Sorkin oratorical flourishes. The basic theme is still intact. Zuckerberg is a driven brilliant Harvard undergrad who sees the outgrowth of some of his programming pranks as being The Next Big Thing. Along the way, he crosses the likes of the Winklevoss twins, a pair of preternaturally preening wealthy and connected scullers who come off as not too bright and easily duped. Their conflict with Zuckerberg highlights that even in the rarified air of Harvard, there are hierarchies and cliques. Another major character is Eduardo Saverin who provided initial funding for Facebook but got eased out in favor of Napster cofounder Sean Parker. Saverin was a major source for the book, but he is not portrayed completely sympathetically. He was clearly far less dedicated to Facebook in its important gestation period than Zuckerberg as well as Dustin Moskovitz and Chris Hughes, who are essentially ignored in this telling of the Facebook origin story. The book is fast-paced and breezy even if does take a lot of short-cuts with the story and relies perhaps a little too much on reconstructed events. But it is still a thrilling read full of fascinating details about the personalities that built the world's most popular website. 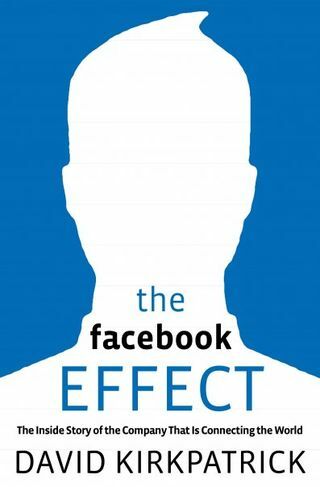 A far more journalistic approach is taken in The Facebook Effect. David Kirkpatrick had a ton of access to Facebook and its employees and it shows. The first three chapters cover the same territory as Accidental Billionaires. Despite the shorter length of this section, it has a greater level of detail and covers the events in slightly greater verisimilitude. Reading both books back to back causes some mental whiplash as the same incidents are told slightly different ways. 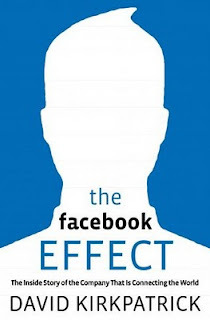 The middle section of the book covers the phenomenal growth of Facebook and the growing pains of the website. Each change in the interface created its own problems and controversies. But as Kirkpatrick explains, after initial protests, users accept them and go back to mindlessly updating their statuses. 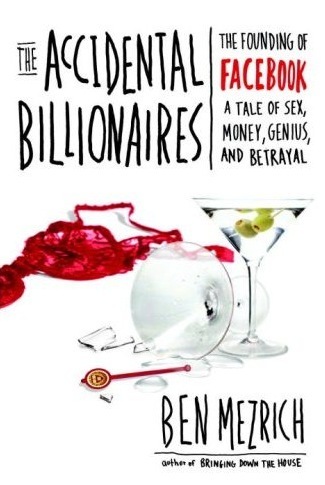 The book also details the financial deals that financed the rapid expansion and how Zuckerberg fought to maintain as much control as possible. During all this the site remains very much the product of its founder. His views on how and what a social network should be drive the company. Where the books fails is when it tries to paint the bigger picture. While privacy issues are discussed, they tend to get brushed off. And while there is a lot made of the cultural revolution Facebook is causing, it all seems a little glib and shallow. There is a cheerleader aspect to the hype about how Facebook is changing the world. The book reads just a little too much like Zuckerberg friended Kirkpatrick. Far more nuanced is Ken Auletta's corporate biography of Google, The Next To Latest Big Thing. Google is obviously another game-changing website created by fanatically dedicated college students. Also enjoying astounding access, Auletta subtitles Googled as "The End of the World as We Know It". He makes the strong case for Google being a transformative technology which has shaken entire industries. 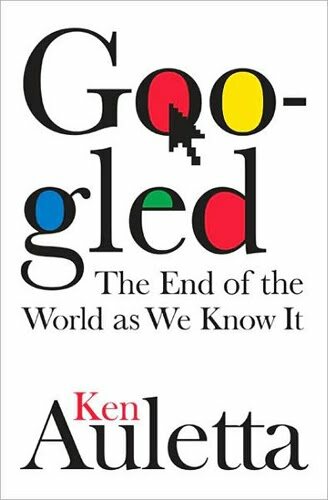 Being an ink-stained wretch, Auletta focuses particularly hard on how Google is redefining the landscape of media companies with search commoditzing news and internet ads supplanting traditional advertising. A lot of time is also spent describing how the culture of the company affects the philosophy of the products and services. It's a very warts-and-all look at the company. The three leaders of the company, founders Larry Page and Sergey Brin as well as CEO Eric Schmidt, have distinctive personalities which drive the company. A major observation which I have noticed anecdotally is a reliance on technology. Here is a company that is based on the supremacy of the algorithm. The Google faith in formulas drives both the search engine and the ancillary projects. Despite being only a year old, the book already shows signs of being dated and being overtaken by events. Facebook, which recently overtook Google in pageviews, is only mentioned in passing. Much is made of how AdSense revolutionized advertising by paying on a per-click basis while The Faebook Effect credits the micro-targeting scheme used by Facebook as being far more valuable to advertisers. Also, the possible impact of Google's Android cellphone operating system was largely hypothetical at the time of printing, but has been one of the major tech stories of the past year. But of the three tech-related books in this wrap-up, Googled is the most detailed and nuanced. While it sometimes strays from Google itself, it does a much better job of explaining the impact, both for good and otherwise, of a website which truly has changed the world. Also trumpeting the transformative effect of technology on society is Little Brother by tech evangelist Cory Doctorow. Written to a young adult audience, this short and quickly paced novel envisions the aftermath of San Francisco under the jackboots of TSA thugs after a 9/11 style terrorist attack. 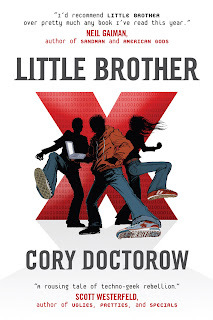 The protagonist is Marcus Yallow, the world's most capable teen-aged hacker with skilz that would make a Heinleinian hero look like a bumbling incompetent. After being unreasonably detained by the cardboard evil federal agents, he starts a techno-based underground resistance movement. From there he takes on the evil government and wins the girl and saves the world. Oops, spoiler alert. The book is prone to long stretches of exposition on both technology, real or imagined, and a particularly Randian information-wants-to-free political philosophy. Even for a book aimed at the teen market, this book is astoundingly nuance free. Everybody is either a brilliant individualist or a tool or a dupe or worse. The book is patronizing and superior both at the same time. Doctorow is proselytizing to the pews. 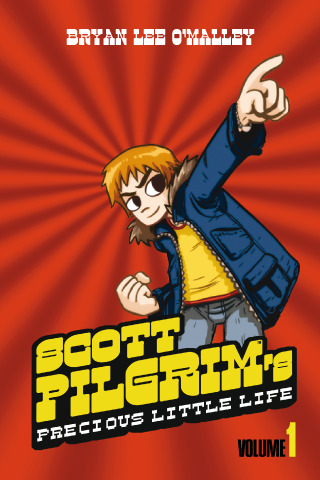 Another book that has been made into a movie is the Scott Pilgrim series. 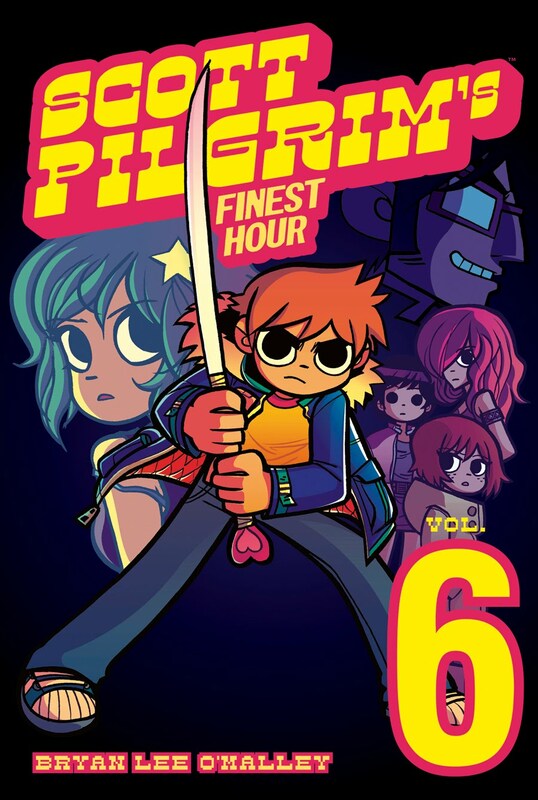 Really six separate graphic novels, it tells one continuous story of Scott Pilgrim as he fights his girlfriend Ramona's seven evil ex-boyfriends. But the boyfriends are just a narrative framework for Scott to go on a journey of self-discovery. He has to learn how to be an adult. And he makes a lot of mistakes as he does it. Along the way he faces down his ex-girlfriends as well. 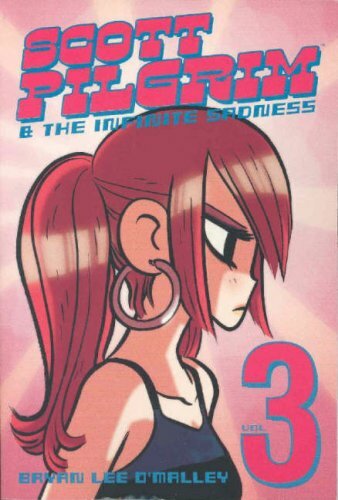 Bryan Lee O'Malleypeppers the book with really interesting minor characters who are often more interesting than the titular hero. The books are also mockingly self-aware and the Canadian setting is nicely used. 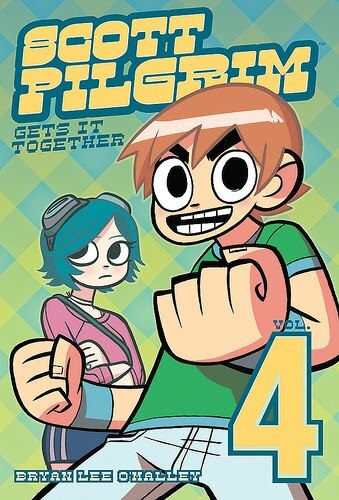 My favorite book in the series is Volume 4, Scott Pilgrim Gets It Together, which he does humorously and with great bravado. As a graphic novel it has a clean sharp style. It's got great stylized flight scenes and some surprisingly moving effects. 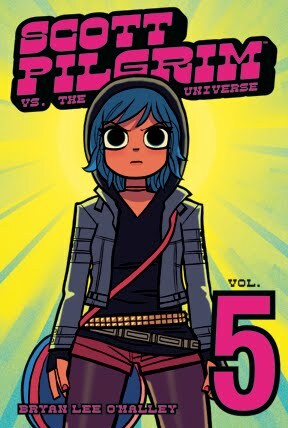 My one quibble is that Kim and Ramona look just alike enough to be confusing. 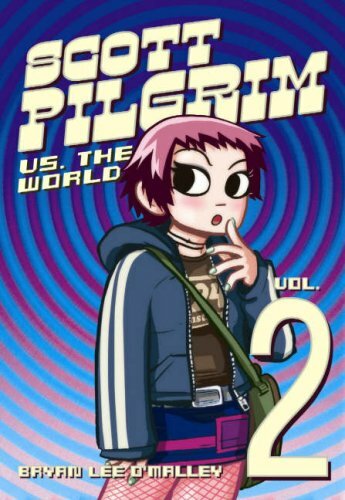 I haven't seen the movie, but my gut instinct is that Michael Cera can't possibly be as cool as the print version of Scott Pilgrim. It's been a while since I've listened to audio books but I've had several long car trips recently so it was time to get back in the groove. 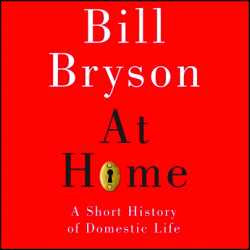 I had previously listened to Bill Bryson's Thunderbolt Kid, so I gave his new book, At Home, a go. The conceit is that Bryson uses items and rooms around his house in the British countryside as taking off points for various long essays about the inventions and innovations of the last couple of hundred years. Being a British country home, the stories tend to be rather Anglocentric with lots of looney English lords and eccentric nutballs. In fact, Bryson describes how the Church of England's method of appointing parsons and vicars all but guaranteed that a good many of them would be totally off their rockers. A lot of the little historical tales focus on events from the 18th and 19th century when England was at the top of its game when it came to both conspicuous consumption and harrowing class division. And life in The Isles which is perhaps meant to come off as charming and whacky ends up looking rather Hobbesian (in the philosophical sense, not the imaginary stuffed tiger style), that is to say nasty, brutish and short. Bryson offhandedly exposes a lot of hypocrisy inherent in the age. Which makes me wonder how future light-hearted essayists are going to portray our manners and customs. While traveling this summer some of my companions could not get enough of Pygmy by gonzo novelist Chuck Palahniuk. So when I saw his latest novel, Tell-All, at the library and snatched it up. It really wasn't what I was expecting, but it was mesmerizing none the less. Told from the point of view of a longtime employee of a mid-twentieth century film idol who makes Elizabeth Taylor look both sane and monogamous, it is a jazz-like riff on fame and power. I say 'jazz-like' because the book is full of all sorts of verbal themes and repeated phrases, each a little different from the previous one. For example, the narrator Hazel "Hazie" Coogan starts many chapters with a list of jobs she is NOT, despite the fact those are clearly things she does. Another rather psychedelic running motif is the derring-do of Lillian Hellman which starts out ridiculously absurd and then get even more implausible. The tell-all being told is about aging film actress Katherine "Miss Kathie" Kenton who is constantly manipulated by Hazie. There is an odd co-dependence between the two that ultimately becomes very twisted when a new suitor for the multiply married Miss Kathie appears on the scene. Palahniuk is an amazing prose stylist with absurd imagery and astoundingly precise wit aimed at even the incidental elements, but something tells me this isn't his best work. Still, I am dying to read more to get a better feel for this very deranged and delightful author.